This is a moderately challenging walk following a well-paved section of the Pennine Way to Hebble Hole, and then along an old packhorse trail with fantastic views of the upland landscape, Colden Clough and the Calder Valley. At the end of the walk you have the opportunity to explore the fascinating historic Heptonstall village. There are several stiles and gates. It can be windy at this height and there is very little shelter until reaching Hebble Hole, so take warm/wind proof clothes even if it’s a sunny day. The walk is on good surfaces but parts of this walk can be very boggy so you need to wear boots. 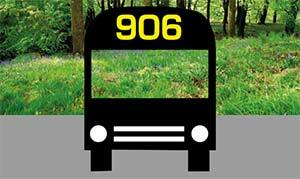 This walk starts at the 906 bus stop at the Packhorse Inn (where you might have lunch before you set off). Carry on down the road away from Hebden Bridge for 150 metres and take the footpath on the left, going over the ladder stile by a signpost. Follow the wall downhill, keeping the wall on your left, until you reach a stile, coming out on to the Pennine Way (although it is not signposted at this point). Cross the stile turning left and head down hill, ignoring the fork to the left which stays on higher ground, pass through a gate down to the side of Graining water. Cross the two bridges and take the path heading up hill through the stone gate posts. The path heads up to the left of Gorple Cottages and crosses a track by a 4 way signpost. Go straight across, now on a track through a pair of metal gates. After 250 metres go straight ahead, through a gate immediately taking the path going off to the left signposted ‘Pennine Way to Heptonstall Moor’. The path follows a fence for about 700 metres, going through the wall and then going back through it before bearing right away from the wall heading over the moors mainly on recycled flagstones from local mills (some of the gaps can be very boggy, but more flags are being laid). After 1½ km you reach a wall which you follow to the right for a few metres. Take the well trodden right hand path which heads across the moor for ½ km until you reach a barn where the path turns right uphill following a wall. Ignore the tracks to left and right at the brow of the hill. Carry on down hill, bearing Left at the fork after a few metres, through a gate and then bearing left, follow the path between two broken stone walls coming out on to a tarmac lane where you turn right and immediately left. Here the sign post is to Hebble Hole. The path comes out on to the main http://www.xanaxlowprice.com road where you cross over on to a concrete track, (if the weather is bad you can get a bus back to Hebden Bridge from here). Before the gateway to the house, take the stile on your left, the path then bends to the right and crosses two stiles to the left of the house. The path then diagonally crosses the field to a metal gate and becomes a walled path heading down to a kissing gate. You go down some steps and reaching a junction where you turn left up hill on an old paved packhorse path, you are now on the Calderdale Way; (the Pennine Way continues on down and you might want to take a short detour down to the clapper bridge at Hebble Hole). Follow the packhorse path, ignoring a path on the left through a gap in the wall. Just after the packhorse path enters a wood, you go over a stile on your left. From here you follow the paved path for ½ km (watch out for the little kink after a stile). Keep straight ahead when it stops and when you reach a junction; turn up hill for 100 metres, turning right along a tarmac lane. Go to the left of the house and soon after you will rejoin the packhorse path until it runs out at a 5 way junction where you go slightly to the right, going down a walled lane. After 200 metres, ignore the path going off to the right and when you reach a tarmac road, head up hill until you reach a sign post on your right. Take the path signposted Heptonstall. Keep on this path, keeping to the top edge of the woods (take it gently, this path is very uneven, but there are fantastic views. The path eventually arrives at a housing estate where you turn sharp left along a walled path. Keep straight ahead, crossing a tarmac road, until you reach a junction where you bear left. Keep straight ahead, heading towards the right side of the church and follow the paved lane as it winds through the village. To return to Hebden Bridge, you can get a bus from the bus shelter on Hepton Drive which is the road opposite Towngate Tea Room or you can walk down to Hebden Bridge either on the road or using some footpaths. The road down to Hebden Bridge does not have a pavement for half of its distance, so take care. Because of the curves in the road most of the locals ignore the usual advice and walk on the left hand side of the road. When you come to the T junction turn right and use the pavement to drop down to the traffic lights and then turn sharp left into Hebden Bridge.